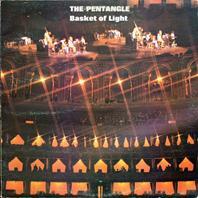 Basket Of Light is a pleasant album indeed. Listed as folk (or folk rock), but is actually so much more (and Train Song reminds me more of Bossa Nova than anything), with jazz and what's now labeled World Music peeking through in many places. With a bit of drag from the inclusion of the single Light Flight as the theme for BBC's first drama broadcast in color, the album reached the top five (a feat I don't think it would have managed without the influence of TV). The band never reached the same heights again, but their legacy is still audible on the British folk scene.